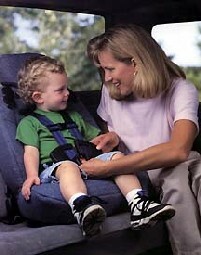 Child safety is paramount to any parent but in Cuba only one rental company offers child seats. You will be told by agents that they have “prebooked” a seat for you at the other Cuba Rent a Car Offices but, this booking will prove inexistent unless it is clearly shown on your collection voucher which is sent to you. Forget about showing emails or saying “I was promised” a child seat, unless it’s written on the voucher you will not get one. Why? Well, as explained, only one cuba rent a car company offers child seats in the first place and the others cannot even get them from another office because they simply do not offer them. Also be sure that your Cuba Rent A Car has the correct fixings for the child seats although when booked with this rental agency they are prefitted when ordered. Can I get a Child seat added on to my cuba rent a car when I arrive? No. The only way is to book this in advance because Child Seats are not retained at the Cuba Rental Car offices but taken to the office when they are pre-reserved. What ages do the Child seats cover when I rent a car in Cuba? The age of your child will be requested in advance by the rental agency and the appropriate seat(s) offered. When you looking for a Cuba Rent A car you should ensure you choose the right company if you want a child seat.